My Favorite 2017 Fourth of July Finds! This post contains items I received to review from The Modest Mammoth and Cents of Style. I am an ambassador for PRO Compression. This post also contains affiliate links. You know I like to go all out for the holidays and the Fourth of July is no exception! 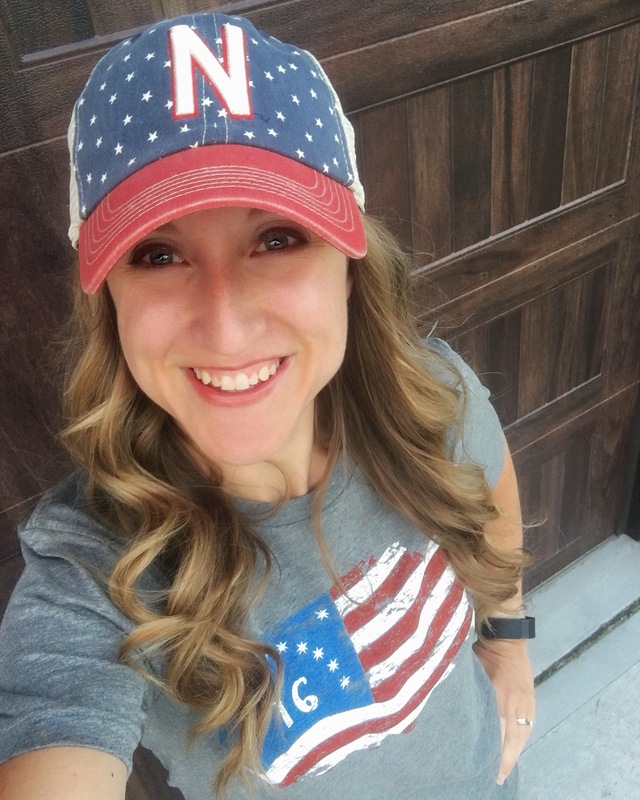 Every year, it’s fun to find new patriotic things to wear and 2017 did not disappoint! For most of these, if you order now, you can have them in time for Independence Day! I love shopping local, so I am giddy about this brand new Nebraska-based shop! The Modest Mammoth has THE softest shirts I’ve ever worn and they keep introducing fabulous designs! I’m wearing the Liberty tee in size small and I think I will live in it over the holiday weekend! When the sun heats up, I’ll be reaching for the Liberty tank instead – watch for a pic on Instagram soon! BEST NEWS: Both the Liberty tee and tank are just $17.76 with the code JULYFOURTH through July 4th! P.S. PLEASE check out the rest of their shirts and hats while you there – The Hubby and I are both big fans! And that hat?! It’s my new favorite! I’ve been trying to find it online to no avail, but it is available at Husker Hounds in Omaha! Of course I had to include a running tank! Miles & Pace is a favorite running apparel company of mine and this is my favorite tank from them so far! 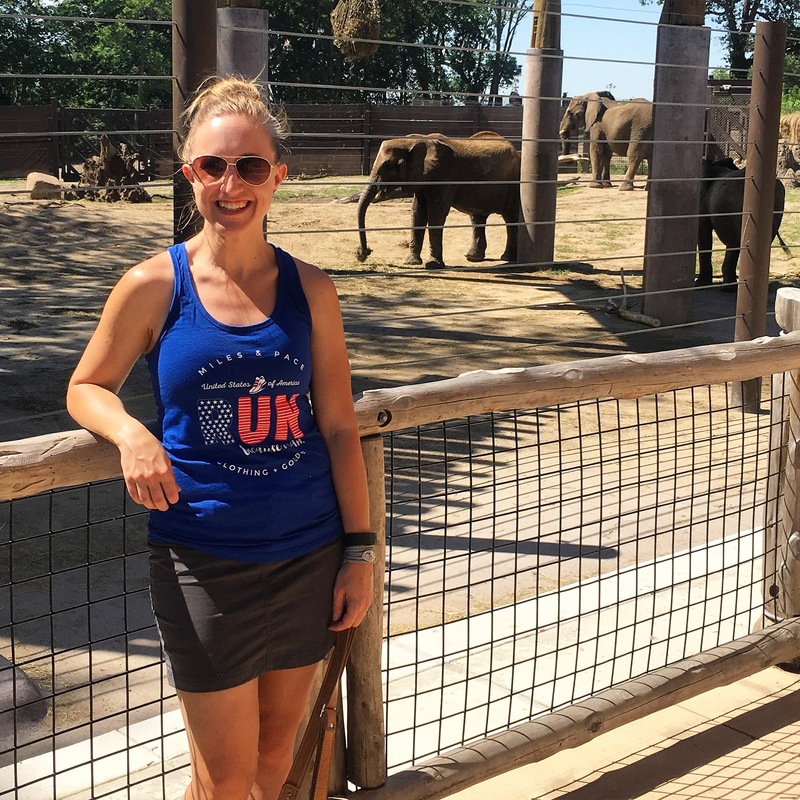 The USA Run Because I Can tank is a great fitted racerback tank, perfect for a day at the lake or a Fourth of July race! I think I’ll pair it with my red sparkle skirt! They even have a trucker hat to match! Get both and get free shipping with the code SHIP40 right now! Get your feet in on the festivities! 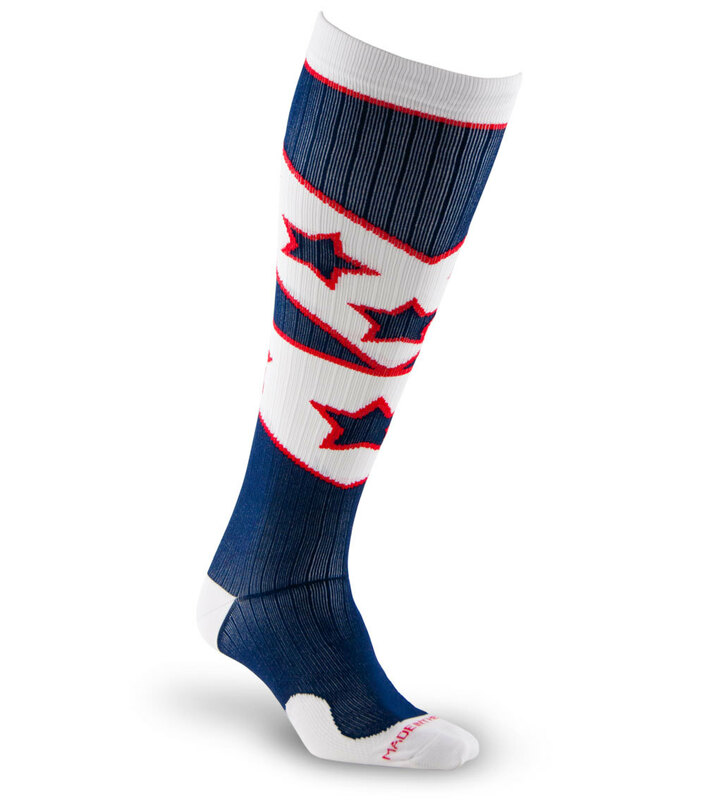 PRO Compression released their brand new Fourth of July sock and it is fabulous! These are limited edition and will sell out, so use the code JULY4 to get your for 40% off right now! Don’t forget the kids! 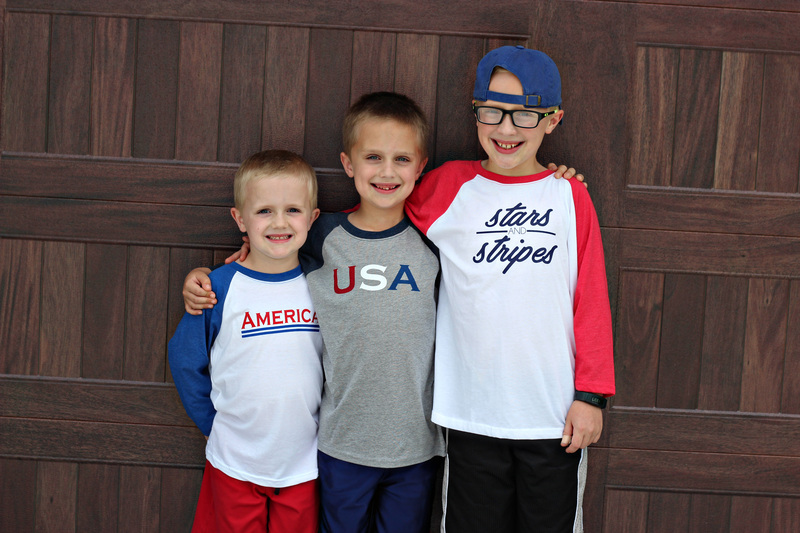 I shared these last week, but I’m still loving the patriotic raglan tees for kids from Cents of Style! They are still on sale for just $14.95 – what a steal for these adorable tees! As usual, shipping is free! Well, I think we’re all set to celebrate the USA around here! Bring on the family, fun, food, and fireworks! Any fun Fourth of July finds you’re loving this year? Please share!